The escalating tensions in Ukraine are developing every moment. The crisis began in November of last year when President Viktor Yanukovych rejected a trade deal with the European Union. This dismissal symbolized a closer tie between Ukraine and Russia. The arrangement was popular among many Western Ukrainian citizens who were expecting a stronger economic connection with the European Union. Ukraine is a country that is bordered by Russia and Central Europe, and has been characterized as a country divided. Most citizens in Eastern Ukraine, specifically in the southern region of Crimea, which functions with regional autonomy, speak Russian and embrace pro-Russian policies. Ukrainian speakers live in the West and lean toward the EU. The rejection of the deal led to protests and clashes between citizens and security forces. 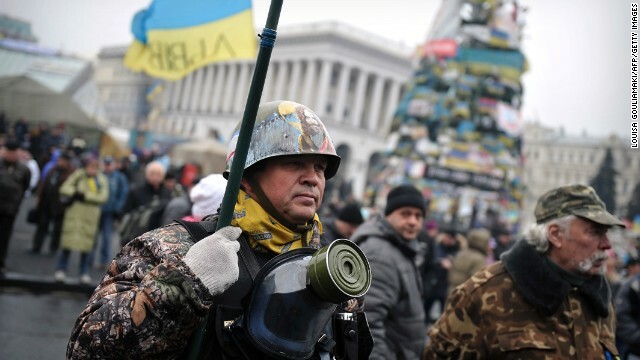 The demonstrations resulted in many deaths, which eventually ousted pro-Russian President Yanukovych. Since his departure, the unrest in Ukraine continues rapidly, now with Russian military forces present inside the country. On Saturday, March 1, the UN Security Council held an emergency session to discuss the rapidly destabilizing conditions in Ukraine, and Ukrainian ambassador to the UN Yuriy Sergeyev implored member states to confront what he called Russia's "clear act of aggression." On Saturday, March 1 the pro-Russian Prime Minister of Crimea asked Putin for help in maintaining order on the peninsula. The same day, the Russian Parliament approved Putin’s request to deploy forces to Ukraine until the situation has “normalized”. The actions undertaken by the Russian Federation were a clear refute to Obama’s statement made only one day earlier cautioning that should it elect to intervene in Ukraine, “there will be costs”. By Saturday night, the sabre-rattling between the US and Russia continued, with US Secretary of State John Kerry denouncing what he called Russia’s “invasion and occupation” of Ukrainian land. As of this writing, Russia is said to have up to 15,000 troops in the Crimea, as told to CNN by Yegor Pyvovarov, the spokesman for the Ukrainian mission at the UN. Crimea remains today the last bastion of resistance to the new Ukrainian leadership, which Sunday began mobilizing troops in response to Russia’s latest aggression.